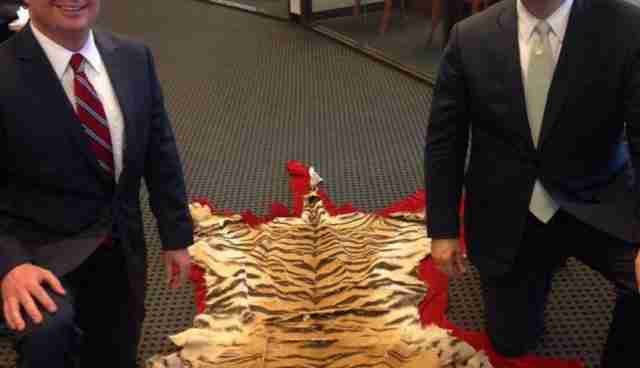 Did Senator Ted Cruz Really Just Buy A Tiger Skin Rug? Republican Senator Ted Cruz has unleashed a firestorm of criticism on social media after posting a photo of himself and another senator posing with what appears to be a tiger skin rug. A caption accompanying the disturbing image, which was shared on Cruz's Twitter and Facebook profiles, suggests that the Tea Party leader purchased the skin. "Did a little shopping for the office with United States Senator Mike Lee in Houston today," writes the Junior Senator from Texas. 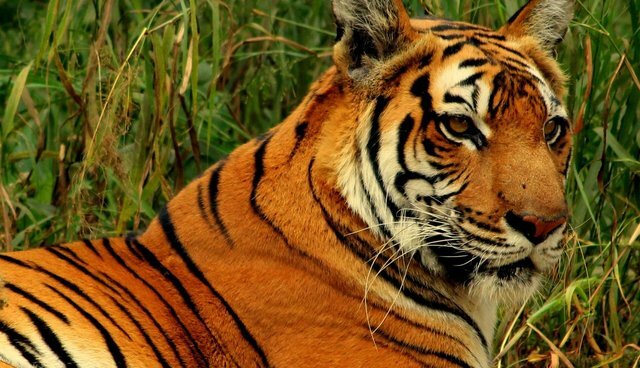 Under the Convention on International Trade of Endangered Species of Wild Fauna and Flora, it is illegal to import or trade in tiger parts, including their pelts. Skins taken from tigers prior to the ban are exempt, however -- though posing happily next to this kind of item as a public figure still raises serious ethical questions. Despite protections, tigers are among the most threatened species on the planet, largely due to poaching for their illicit parts. According to the World Wildlife Fund, as few as 3,200 tigers exist in the wild today -- marking a decline of 97 percent over the last century.